Fennel’s powerful, aniseed-like flavour isn’t to everyone’s tastes, but fans of this bulbous root know it can transform a salad or perfectly complement a fish dish with finesse. 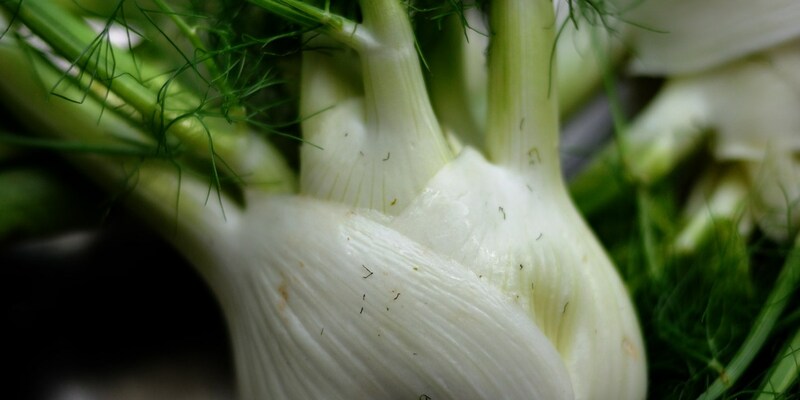 For a crash course in how to prepare it, check out our how to cook fennel guide – it can be steamed, grilled, roasted or eaten raw depending on the flavour or texture you’re after. Let the vegetable sing in Martin Wishart’s simple Crunchy fennel salad, or retain its satisfying bite with Chloë King’s Pickled fennel recipe. Phil Fanning proves why it’s such a hit with fish fans with his Pan-fried mackerel with fennel and pepper salad, as does Daniel Galmiche’s Fennel-smoked black cod with warm bean salad. However, if you’re really looking to impress, check out this Lamb neck with fennel kimchi recipe from Anna Hansen, or try and tackle Gary Jones’ Ceviche of scallop and tuna, Seville orange and fennel. Most fennel recipes will call for the frilly green fronds on the top of a fennel bulb to be removed before cooking, but keep in mind these make a great garnish and are full of herby flavours.